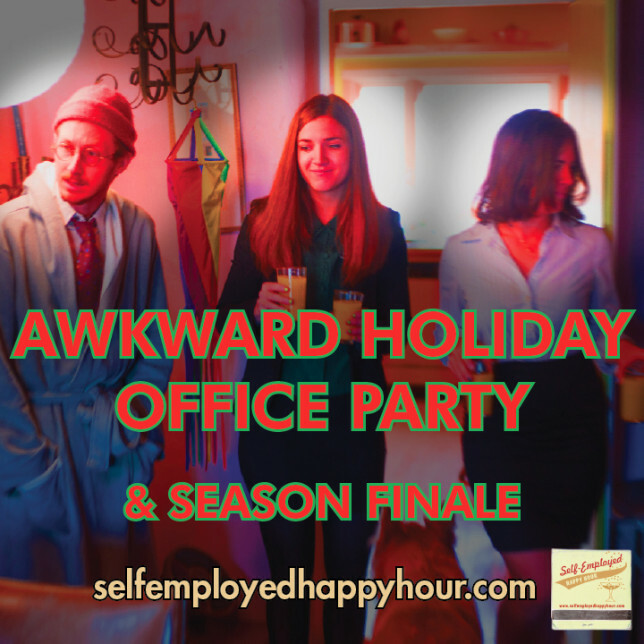 To close out the year we figured why not throw a party—hell, why not our very own Awkward Holiday Office Party for us creatively self-employed? We went and did it—and what a party it was! We invited everyone who appeared on the show this season—plus new guests Andy Lyman and Adrian Toto from The Tan, painter Laila Cola Weeks and artist Billy Joe Miller—to talk about what’s going on in their creative worlds…from starting an unofficial Appl’e Store to painting floaty cubes to wizard duels! We also talk with 516 ARTS‘ Suzanne Sbarge and The Curious Townie Steven J Westman about more art and creative happenings in New Mexico! It was a blowout! Watch our site and our Facebook page for photos from JAK Media‘s Kendra Crooks and Austin Madrid. Thanks Kendra and Austin! I’m joined by a wonderfully awkward crew of Pyragraph Editors as co-hosts: Sage Harrington, Josh Stuyvesant, Jeremy Kinter and Eva Avenue. Happy holidays everyone! We’ll be back in mid-January 2015.